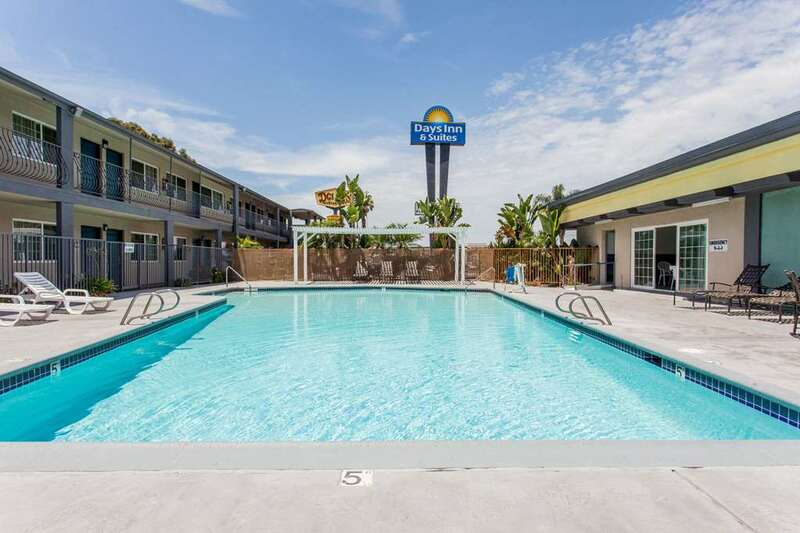 Chairmans Award Property Welcome to the Days Inn San Diego-East/El Cajon, CA. We are conveniently located off Interstate 8 exit Mollison Ave between San Diego and El Centro. We are in close proximity to all major San Diego attractions; Sea World, San Diego Zoo/Balboa Park, Downtown San Diego, Coronado Island, Beaches, Golf Courses, Tijuna Mexico, etc. We are your home away from home - while at our Days Inn you will be treated with courtesy and respect, our helpful Multi-Lingual staff will go out of their way to make sure your stay with us is as enjoyable as possible. We offer such amenities as Serta Presidential Beds in all rooms, Premium Cable TV with HBO, Complimentary Daybreak Continental Breakfast, now serving warm/hot waffles. Complimentary USA Today Newspaper, Outdoor Pool with sitting area and Indoor Heated Hot Tub/Jacuzzi.